Signed into law in August 25, 2017; Goes into effect July 1, 2018. 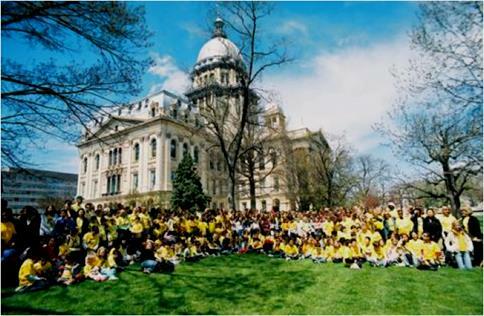 Ensures that all Illinois school districts have fair and equitable acceleration policies allowing early entrance to kindergarten/first grade, subject acceleration, and whole-grade acceleration for eligible students. 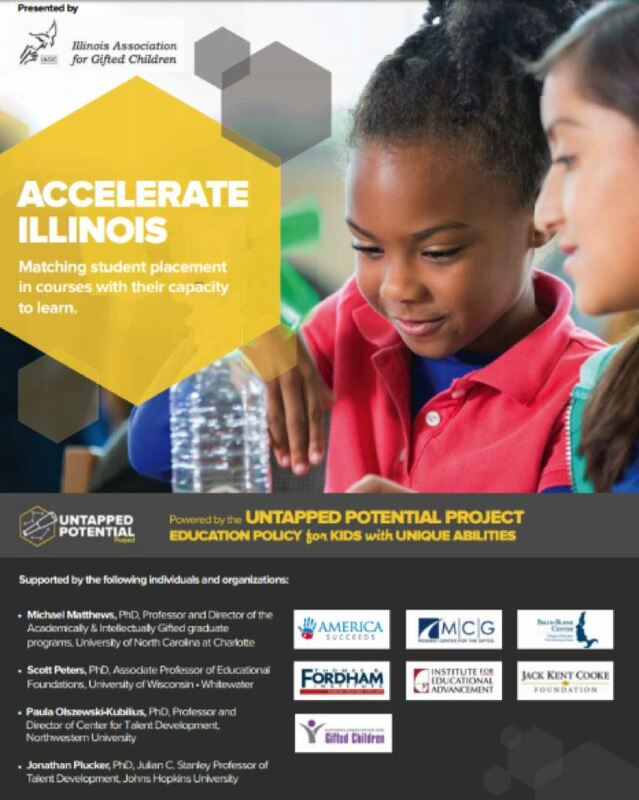 Published Accelerate Illinois report on acceleration in Illinois in collaboration with the Untapped Potential Project. Requires ISBE to collect and report for each school/district the percentage and demographics of students receiving gifted and accelerated services, the percentage of teachers with gifted education endorsements, disaggregated achievement and growth data for advanced students, and more. Collaborated with the Untapped Potential Project to revise the Illinois School Code to ensure alignment with best practices for identifying gifted students. Results: The UP Act was passed unanimously by the House and Senate and signed into law by Governor Rauner in the summer of 2016. Co-sponsored the Untapped Potential Report detailing the underrepresentation of low-income and minority students in gifted programs in Illinois schools.